Any laboratory, from middle school chemistry to an advanced pharmaceutical labs will need equipment to operate. Spectrum provides equipment from a variety of suppliers to fill your needs: from balances to shakers, autoclaves to vacuum pumps. Spectrum carries affordable, quality equipment. If you have questions about any particular item do not hesitate to ask! Explore the above options to find what it right for your laboratory. MTC Bio Weigh Boats are made of antistatic polystyrene and will withstand temperatures to 90C, as well as exposure to diluted acids, alcohols, bases and aqueous solutions. Their flexibility and smooth interior surfaces with rounded corners allow for easy decanting of powdered samples. Magnetic Stir Bar. 1-1/2" long x 5/16" diameter. 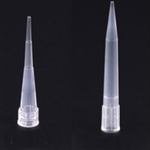 Disposable pipettor tips for 100-1000ul & 200-1000ul Mechanical Adjustable Volume Pipettors. 500 tips per pack. Disposable Pipettor tips for 0.1-2. Disposable pipettor tips for 2-20ul, 5-50ul, 10-100ul, 20-200ul & 50-200ml mechanical adjustable volume pipettors. 1000 tips per pack. Stainless steel weight set includes case and tweezers.